In an unexpected move, the Texas Water Development Board on Thursday punted a final decision on the controversial Marvin Nichols Reservoir a few months down the road. Two water planning groups from the Dallas-Fort Worth area and Northeast Texas clashed over the proposed Marvin Nichols Reservoir at a Texas Water Development Board meeting on Thursday, but the board asked for more information, punting a final decision a few months down the road in an unexpected move. The move will prolong the years-long saga of the Marvin Nichols Reservoir, a $3.4 billion proposed project in Northeast Texas that the Dallas area has hoped would address its long-term water needs. The reservoir would not be completed for at least a couple of decades, but it has stirred controversy because it would require flooding 70,000 acres and take additional land out of commission as an environmental protection measure — with ramifications for the local timber industry. The two planning groups have disagreed over whether the proposed reservoir should be included in state water plans. The water development board initially tried to stay out of the fray, but a district court and the Texas 11th Court of Appeals last year said it would have to decide. After unsuccessful mediation efforts in December and several subsequent public hearings, the board’s executive administrator recommended in May that the reservoir remain in the plans. By a 2-1 vote on Thursday, the board requested that officials in the Dallas-Fort Worth planning region submit a quantitative analysis of the reservoir’s environmental and economic impacts by Nov. 3. Though the board’s rules call for such numerical estimates to be included in every regional planning group’s water plan, the plan by the Dallas-area group only used qualitative metrics, classifying impacts as high, medium or low. Carlos Rubinstein, the board’s chairman, said that while he believed the group’s mistake was unintentional, it was important to rectify to prevent future court challenges. He was joined by board member Kathleen Jackson. Board member Bech Bruun voted against the motion, saying he respected the decision but thought the Dallas-Fort Worth officials’ metric was sufficient and that the reservoir should remain in their plan. The board members, all of whom were appointed within the past year, said repeatedly that the board in previous years should have been more proactive in handling the dispute sooner, and that they wanted to examine and modify their rules and definitions for the future. Such a move could signal a more active role for the board in arbitrating interregional disputes over water projects at the planning stage. 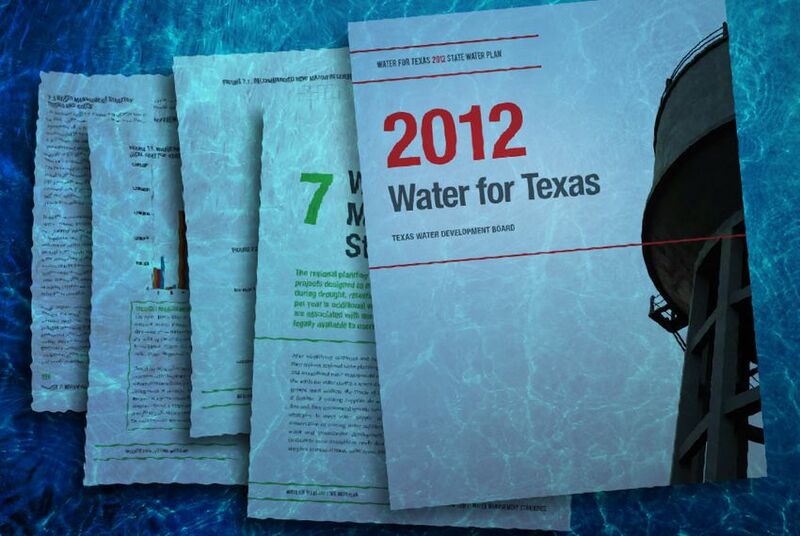 In the past, state water plans were more wish lists than definitive proposals, and the Texas Commission on Environmental Quality would be the first to approve or disapprove of a project by deciding whether to give a permit. But the availability of $2 billion in cheap loans from the Rainy Day Fund — which voters approved in November — has lent new importance to the plans and the role of the water development board, which will oversee the spending of the new funds. At the meeting Thursday, it was not difficult to see why mediation had failed: The officials and lawyers from the two planning groups disagreed on nearly every point. They debated the necessity of the reservoir, its costs, how to measure those costs, and what the board even had the authority to rule on. The case for keeping the reservoir in water plans, as laid out by North Texas planning group chairman Jim Parks, rests on the region’s heavy and growing water supply demand. “Marvin Nichols is the biggest single part of that solution,” Parks said. The reservoir would be an economic engine and take care of nearly 30 percent of the region’s water needs, he said, and any configuration of alternative projects would be costlier, more environmentally damaging and harmful to suppliers who have planned for Marvin Nichols for decades. Parks also argued that it is the TCEQ’s responsibility — not the water development board’s — to rule on the merits of a project. But Brett McCoy, chairman of the Northeast Texas regional planning group, warned that Marvin Nichols would hurt his region’s well-being. “Timber is to Region D” — the name for his region — “what cotton is to the plains, what technology would be to Austin, rice to the lower Colorado River, fruits and vegetables to the Valley. It is a major cog in the wheel of our local economy,” he said. Jim Thompson, Region D’s legal designee, said Marvin Nichols would violate the mandate that water plans be consistent with the long-term preservation of natural and agricultural resources. He said the Dallas-Fort Worth area's plan failed to assess its impacts accurately, and did not count timber as an agricultural resource. The two sides also disagreed over the necessity of Marvin Nichols to the Dallas-Fort Worth area, arguing over the question of whether plans should account for slightly more supply than necessary to err on the safe side. The Dallas-Fort Worth regional planning group now has until November to provide more specific data on the reservoir’s impacts, without which the board would mandate its removal from the plans, Rubinstein said. The board will then offer an opportunity for response and make a final ruling. Still, any ultimate decision is unlikely to settle the dispute. Either side could appeal the ruling, and if the board instructed the Dallas-Fort Worth area officials to remove Marvin Nichols from their 2011 plan, they might be able to include it in the next plan, in 2016, Lowerre said.